Hepatitis C is the most common blood borne infection in the United States and a serious public health threat. It is a leading cause of liver failure and liver cancer, yet most people do not know they have it until serious liver damage has occurred. Currently, there is no vaccine against hepatitis C. Therefore, early diagnosis is critical because the disease can be cured by only three months or less of highly effective medication. Low-income populations are more likely to have hepatitis C infection and to suffer its complications but face many barriers to diagnosis and treatment in the United States. Dr Barbara J. Turner and the Center for Research to Advance Community Health (ReACH) team are working to change that in Texas. According to the World Health Organization, chronic hepatitis C affects over 70 million people worldwide, causing at least 400,000 deaths each year from complications. In the United States, estimates of the number of people with chronic hepatitis C infection range from 2.7 to over 5 million. After about 20 years, 1–2 of every 10 people with chronic infection develop serious liver damage, which is called cirrhosis. These people are at great risk of developing liver failure and hepatocellular carcinoma (HCC) – the most common type of primary liver cancer – among other complications. Infection with the hepatitis C virus is acquired from blood-to-blood contact. Uninfected people can become infected through intravenous drug use (sharing needles), improperly sterilised medical equipment, blood transfusions (before 1992), being born to an infected mother, needlestick injuries, and dirty needles used for tattoos. Less commonly, it can be transmitted by sexual contact and other exposures to infected blood. About 15–45% of people who are infected with the hepatitis C virus recover within 6 months without treatment. However, most still have the virus in their blood and can go on to develop a chronic infection as well as spread the disease to others. Despite being a serious disease, hepatitis C often goes unnoticed because it causes few, if any, symptoms for many years. Early symptoms are usually mild and common to many diseases, such as mild fever, achiness and abdominal pain. In the United States, it is estimated that over half of the people who have chronic hepatitis C have not been diagnosed and, therefore, have not received any care for this serious condition. Fortunately, in over 90% of cases, hepatitis C is curable with highly effective, direct-acting antiviral medications. Simple blood tests can diagnose the infection and evaluate the health of the liver along with liver imaging tests. Treatment for hepatitis C benefits patients before any liver damage has been incurred because it arrests the damage, as well as at later stages when cirrhosis has developed. In all cases, it reduces the risk of infecting others. The two worst-case scenarios for hepatitis C are liver failure and HCC. Although the liver is a remarkable organ that continues to do its work even when severely damaged, when a person develops liver failure, he or she will not survive without a liver transplant. 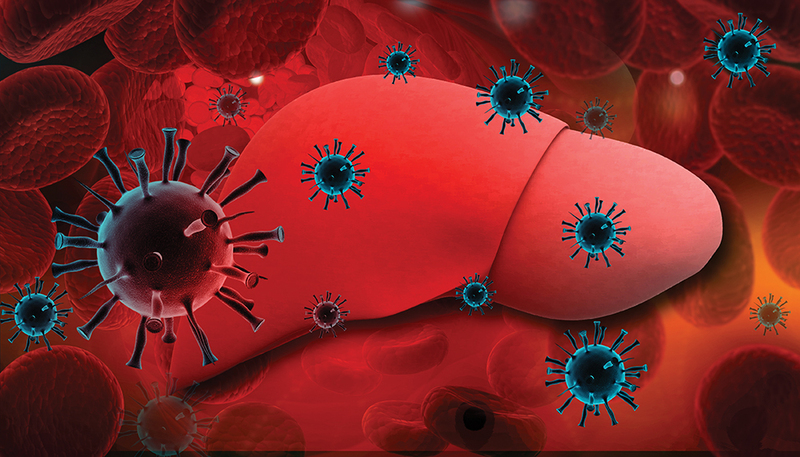 Hepatitis C-related liver failure is responsible for about 50% of liver transplant cases in the United States, with a price tag of upwards of $300,000 each. HCC has a very poor survival rate and is the fastest rising cancer-related cause of death in the United States. In all cases, prevention is key – diagnosis and treatment of chronic hepatitis C significantly reduces the chances of liver failure and HCC. Sadly, despite the availability of screening tests and effective treatments, deaths related to hepatitis C have increased by 50% in the United States over the past decade, with people who have chronic hepatitis C dying an average of 20 years earlier than those without. Deaths are rising because hepatitis C screening and linkage to care has not been widely implemented across the United States. Approximately 3 of every 4 people with hepatitis C infection belong to the baby boomer generation, born from 1945 through 1965. This is because no one knew what was causing this liver infection until the virus was identified by scientists in the late 1980s. The spread of hepatitis C has dropped from over 280,000 new infections per year in 1989 to approximately 25,000 annually in more recent decades. This is because blood tests to screen for hepatitis C, safer use of needles, and sterilisation have become standard. However, new hepatitis C infections have grown to over 40,000 annually in the past few years due to increasing numbers of people injecting illicit drugs in the United States as a consequence of the opioid epidemic. To diagnose hepatitis C infection, people in risk groups, such anyone who has ever injected drugs, need to be tested. 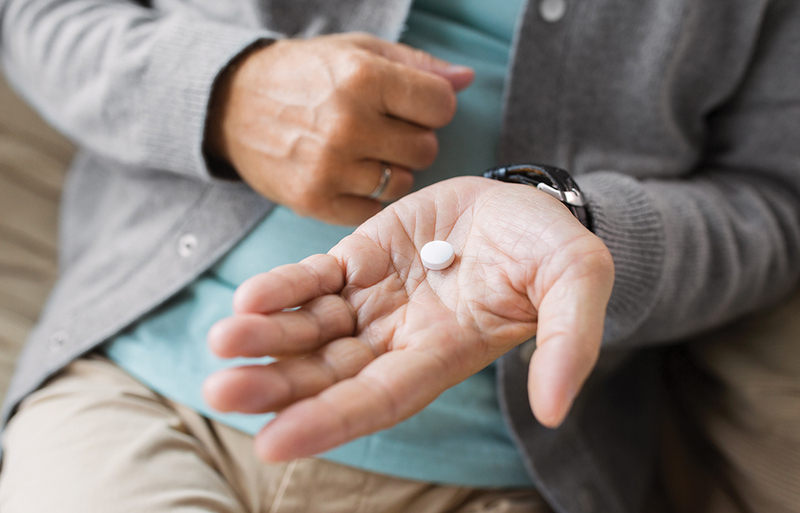 The United States Preventive Services Task Force has also recommended that all baby boomers be tested once for hepatitis C, since most people with chronic infection belong to this age group. Screening costs are covered for insured patients, but hepatitis C is especially common among minority and financially disadvantaged groups in the United States who receive limited healthcare services and may lack insurance, so they are often not tested. Even after being diagnosed with chronic hepatitis C, these disadvantaged patients face barriers to getting needed tests to stage the disease, specialist care, and medication to cure the infection. Additionally, primary care physicians working in practices and clinics that serve low-income populations usually have not received training or support to manage hepatitis C, limiting access to treatment when specialist care is limited. 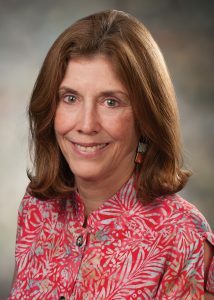 The Center for Research to Advance Community Health (ReACH) at the University of Texas Health Science Center at San Antonio was founded by Dr Barbara J. Turner in 2010. One of its most important initiatives has been developing a comprehensive program to deliver hepatitis C education, prevention, screening, management and treatment to the general public, especially to low-income baby boomers in the state of Texas. ReACH’s initial project was conducted in a safety-net hospital that provides care to low-income, often uninsured patients who have poor access to outpatient care. With funding from the Centers for Disease Control and Prevention (CDC), the ReACH team tested nearly 4,600 hospitalised baby boomers for hepatitis C over a period of 21 months. To implement this comprehensive screening program, the team worked with hospital experts to modify the electronic medical record to identify patients who had never been tested for hepatitis C. They also created a list of patients’ test results to find those who needed counselling and follow-up for chronic infection. The program offered educational presentations to the clinicians and staff, as well as information about screening to patients. 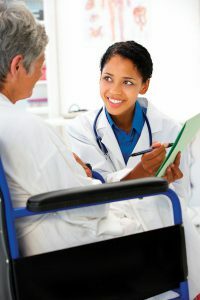 Importantly, bilingual case managers met with patients diagnosed with chronic hepatitis C to educate and support them to receive ongoing care for hepatitis C.
Overall, the screening program found that 316 patients (nearly 7%) had ever been infected with hepatitis C – a rate double the national average. Of these patients, 175 (4%) had ongoing chronic infection requiring evaluation and treatment, and 50 showed signs of advanced liver disease. In all cases, these patients were unaware of having the disease. The study also revealed differences in both infection rates and disease progression based on patient characteristics. Patients who were uninsured were nearly twice as likely to be diagnosed with chronic hepatitis C. While Hispanic patients were somewhat less likely to be infected than non-Hispanic white patients, Hispanics with chronic infection showed much higher rates of advanced liver disease at the time of diagnosis. Regardless of race, patients with obesity or a history of heavy alcohol use were much more likely to have advanced liver disease. After the hospital screening project was completed, the team conducted focus groups with patients who were diagnosed through the program to learn more about their experiences. Many patients acknowledged that they had previously had a poor understanding about hepatitis and needed education. They described feeling shame and stigmatised by their diagnosis because hepatitis C can come from risky behaviours, such as sharing needles, and voiced fears about their health. Social concerns included needing to learn how not to infect others and how to discuss their diagnosis with family members. Healthcare concerns included poor access to care, expense of treatment and how to change their lifestyle to reduce additional liver damage caused by obesity and drinking alcohol. Fortunately, all the participants were enthusiastic about the screening program because they would not have otherwise learned about the infection until the liver was severely damaged. Despite the general distress that accompanies a hepatitis C diagnosis, patients thought it was better to know and deal with it. In response to these concerns, the team developed a straightforward educational program in English and Spanish delivered on a mobile app to help answer some of these concerns about chronic hepatitis C infection. In addition, the team trained bilingual case managers to offer personalised education and support to receive needed care. From their early work in hepatitis C detection and management, Dr Turner and her team recognised the critical role of ambulatory healthcare in eliminating the threat of hepatitis C. In 2014, ReACH received federal funding through an 1115 Medicaid waiver to expand its program to five primary care clinics in San Antonio and six in the Rio Grande Valley, along the Texas-Mexico border. This work paved the way for additional funding from the Cancer Prevention and Research Institute of Texas (CPRIT) to expand screening and care in primary care facilities throughout rural South Texas as well as Dallas in North Texas. The ReACH program to Screen, Treat or Prevent Hepatocellular Carcinoma and Hepatitis C Virus (STOP HCC-HCV) is currently providing care for patients across Texas. Overall, HCV screening and management has been implemented in 10 healthcare systems across Texas within 39 separate clinics. Through all of ReACH’s projects, over 50,000 Texans have been tested for hepatitis C and nearly 2,000 have been found to have chronic infection. For these projects, ReACH has developed a comprehensive infrastructure for primary care practices to implement hepatitis C screening and care. This includes training the primary care team and staff, and modifying the electronic medical record to support screening, patient education, and patient care navigation. The program also facilitates the referral of insured patients with chronic infection to specialists for care or, if uninsured, supports the primary care practice to manage and treat patients onsite. In regions such as rural South Texas and the Rio Grande Valley, where access to specialist services is severely limited, ReACH uses program funding to pay for screening and follow-up testing in patients without insurance so that they can be treated in primary care. The team has also developed educational webinars for primary care clinicians and staff regarding hepatitis C evaluation and management as well as HCC. Once trained, ReACH offers specialist teleconsultation office hours, during which the primary care clinician uses a structured case presentation to discuss key aspects of the patient’s history, the exam, and lab results with the specialist. Together, they develop a management and treatment plan for hepatitis C to be carried out in the primary care setting. Especially when patients face many barriers to care, the ReACH team has also found that care navigation is essential, as it offers personalised education and support to receive needed tests and treatment such as immunisation against hepatitis A and B. 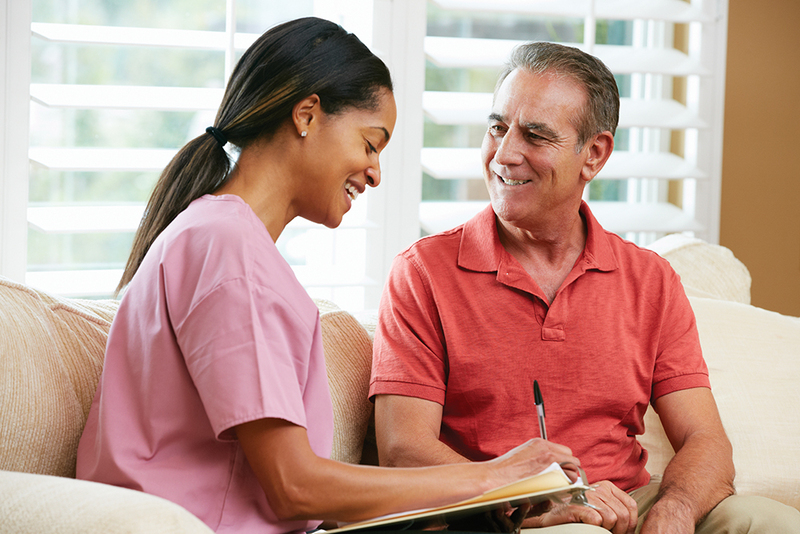 The care navigator may be a community health worker or in some settings, a licensed vocational nurse who co-manages much of the patient’s clinical care with a physician, nurse practitioner, or physician’s assistant. The navigator offers help for the uninsured, low-income patient to complete the substantial administrative paperwork needed receive treatment to cure hepatitis C, without charge from prescription assistance programs supported by pharmaceutical companies. The navigators also work to ensure that the patient takes these medications exactly as prescribed and completes the needed tests to demonstrate a cure. To date, over 9 out of 10 uninsured patients who have been treated by their primary care clinicians through ReACH programs have been cured. As part of their STOP HCC-HCV program, ReACH has launched the www.stophepatitisc.com website to provide education and resources for community members and professionals looking to launch their own screening and treatment programs. Working with a group of healthcare leaders and clinicians throughout the state of Texas, the ReACH team is working to promote the importance of hepatitis C screening in primary care and offering unique resources for replication in diverse primary care settings. With additional funding from CPRIT received in 2018, the program will evolve towards fostering sustainability. STOP HCC-HCV will continue to support practices to develop an infrastructure that will continue this care long term, after funding is over. It will also expand its initiatives to educate physicians about screening and treatment for hepatitis C and add education about evidence-based approaches to address behaviours that accelerate liver disease, such as drinking alcohol. Through their innovative and multi-disciplinary program, Dr Turner and her colleagues are improving access to screening and quality care for hepatitis C patients in Texas. People from low-income populations are now being diagnosed with this potentially deadly disease before it has resulted in liver failure or cancer. ReACH aims to ultimately improve public health and add years of healthy life to the people of Texas. Dr Barbara Turner is a tenured Professor of Medicine at the University of Texas Health Science Center at San Antonio. She is also the founding Director of the Center for Research to Advance Community Health (ReACH), a joint initiative with the University of Texas School of Public Health. She is a practicing general internist and author of over 175 peer reviewed publications on diverse research topics addressing opportunities to improve prevention and outcomes of chronic disease, as well as reduce health disparities. Dr Turner is currently leading several research projects to implement new national guidelines for hepatitis C virus screening of all baby boomers and treat chronically infected patients. In May of 2016, she was honoured with the US Department of Health and Human Services (HHS) Viral Hepatitis Testing Recognition Award for her efforts in implementing hepatitis testing programs. C Gowda, S Lott, M Grigorian, DM Carbonari, ME Saine, S Trooskin, JA Roy, JR Kostman, P Urick, V Lo Re, Absolute Insurer Denial of Direct-Acting Antiviral Therapy for Hepatitis C: A National Specialty Pharmacy Cohort Study, Open Forum Infectious Diseases, 2018, 5, 631–637. BJ Turner, K Craig, VS Makanji, BE Flores and L Hernandez, Improving support and education of low-income baby boomers diagnosed with chronic hepatitis C virus infection through universal screening, Journal of Clinical Nursing, 2017, 26, 4605–4612. BJ Turner, Y Liang and AG Singal, FIB-4 and imaging for measuring fibrosis in hepatitis C virus, European Journal of Gastroenterology & Hepatology, 2017, 29, 192–198. 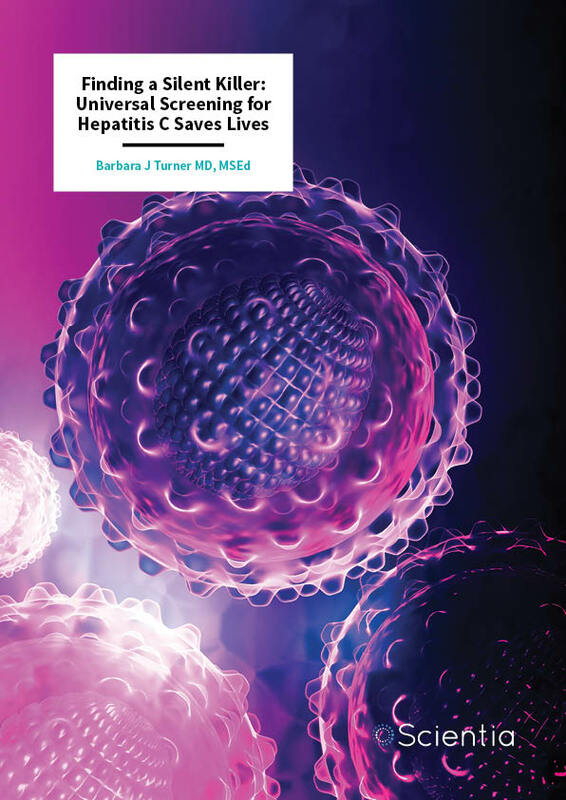 BJ Turner, BS Taylor, J Hanson, Y Liang, P Veerapaneni, R Villarreal, M Perez, L Hernandez, J Sandhu, K Fiebelkorn, High priority for hepatitis C screening in safety net hospitals: Results from a prospective cohort of 4582 hospitalized baby boomers, Hepatology, 2015, 62, 1388–1395.